In celebration of International Walk Your Child to School Month, Middlesex County Safe Kids held a pedestrian safety poster contest at Faber Elementary School in Dunellen. Students in all grades were invited to submit an entry focusing on the theme of Pedestrian Safety, utilizing the medium of their choice. Over 30 entries were received and judged by a panel of experts. 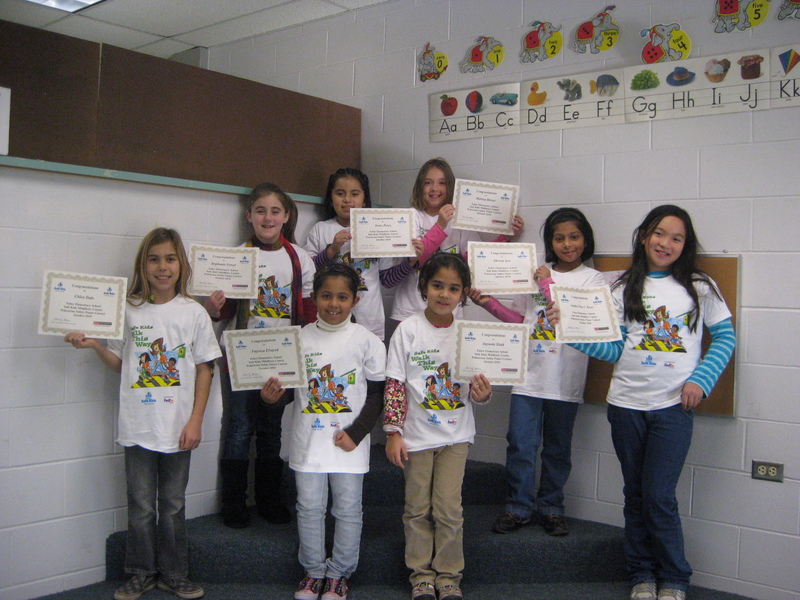 Winners from each grade were chosen and have been recognized with a Walk this Way t-shirt and certificate. The winners, as pictured in the photograph (clockwise) are : Chloe Dale, Stephanie Fetzer, Irene Perez, Melissa Klezer, Shwta Iyer, Jenthel Eliza Reyes, Aayushi Shah, and Faroyza Elsayed. Not pictured is Nya Lambert.